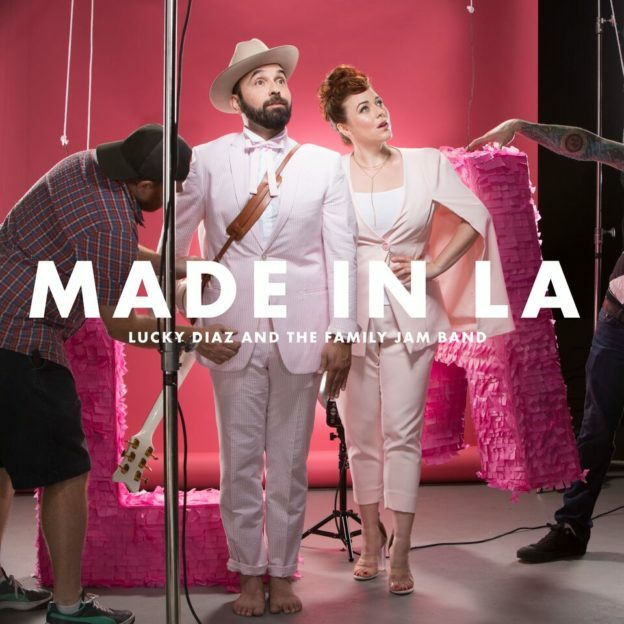 Made In L.A. is Lucky Diaz’s funky, fresh love letter to the City of Angels. It will be released on July 21st. We are proud to offer you a first glimpse at the gorgeous Made In L.A. artwork, created by the one and only Micah Player. Lucky will be playing Lollapalooza this summer in addition to plenty of other shows across the US. If he’s in your town, make plans to support great independent music. 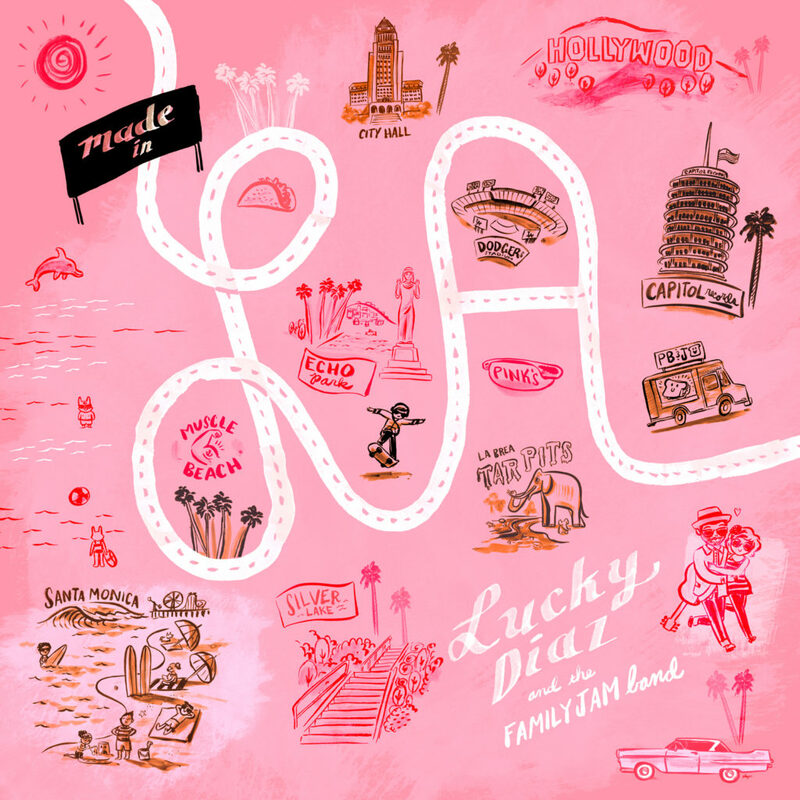 ‘Paletero Man’ is also featured on this killer summer road trip playlist featuring Lisa Loeb, Justin Roberts, Red Yarn and more! This entry was posted in Dadnabbit, Dads Writing About Kindie Culture, Featured, Music, Uncategorized and tagged Lucky Diaz, Micah Player on June 5, 2017 by Dan Walsh. While the full Record Store Day list hasn’t been released yet, news on RSD releases continue to trickle out. Waxploitation Records founder Jeff Antebi asked artists from music & art to collaborate on original children’s stories for a benefit project. 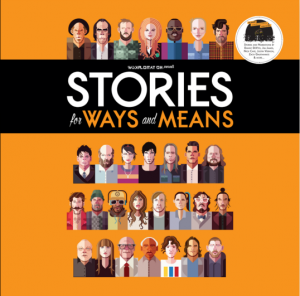 The book includes stories from Nick Cave, Frank Black, Justin Vernon, Laura Marling, Devendra Banhart, Alison Mosshart as well as paintings/illustrations from Anthony Lister, Dan Baldwin, Swoon, Will Barras, James Jean, Ronzo, Kai & Sunny, and others. Nick Offerman reading a Justin Vernon story? Danny Devito reading Frank Black? Count me in. This entry was posted in Dadnabbit, Dads Writing About Kindie Culture, Featured and tagged Waxploitation on March 14, 2017 by Dan Walsh.